Over one Billion dollars in real estate has sold in the course of her career in marketing, selling and developing luxury homes throughout Dallas, Texas, Vail and Beaver Creek, Colorado. Larger estates have been her expertise, but she prides herself in the knowledge of all homes from cottages to the more palatial estates. Remodeling, building and interior design have been her love since her early twenties and she is delighted to pass her knowledge on to her clients in helping them find their perfect home. Jackie has relocated some of the top executives and sports figures to Dallas and prides herself that they have joined her warm circle of clients and friends in referring business year after year. As a founding member of the exclusive Masters of Residential Real Estate and several other networking groups, Jackie hears of properties for her clients before they actively come on the market. Named one of the “Top Producers and Best Realtor” by D Magazine has been an honor. Prior to real estate, Jackie worked as the assistant to a top airline executive at Dallas Love Field airport where she handled all VIPs and any problems that arose within the division. Later she owned eight European sportswear stores with her husband throughout Dallas and Houston and controlled the design, purchasing and décor for each of the stores. Her true love being that of remodeling homes, she entered the real estate business when she was persuaded to join a new firm in the area. In her first year of business, she brought sales totaling $10,000,000 and was named one of the rising stars in real estate. 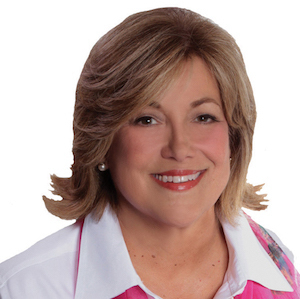 Jackie was raised in Miami, Florida, is fluent in Spanish and attended Immaculata Academy, Palm Beach State College and the University of Miami. Jackie and Cory have happily raised four wonderful children in Preston Hollow and the Park Cities and rejoice that they and their nine grandchildren all live in the area.